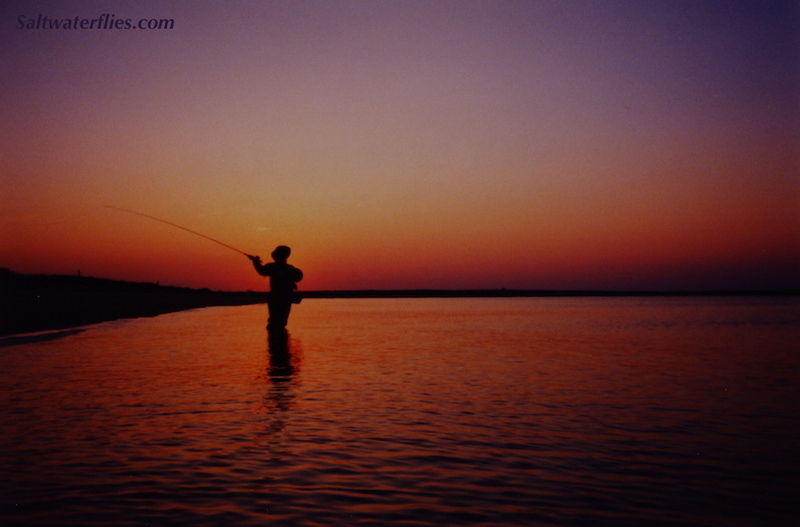 The "Striper Slider" is usually the first style of fly that we put in the box when we go striped bass fishing. This type of pattern has taken so many stripers for us over the years, we could easily call it the "Number One! Excellent fly for day, night, or low-light, and works well in calm conditions as well as whitewater. An excellent fly for swinging in the current in estuaries, river mouths, etc, but this fly is equally at home when fishing cast-and-retreive along beaches. 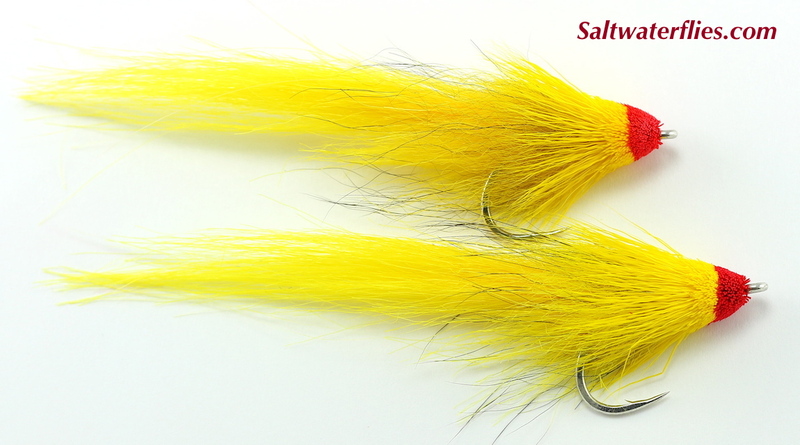 We have offered various incarnations of this fly over the years - with a synthetic hair tail, this updated version is the easiest to cast yet, and it features a nice "hot spot" of color that gets the attention of the fish! New for spring 2015 is the Red/Yellow shown below - red hot! These excellent Striper Slider flies are tied on super-sharp, strong Gamakatsu SL12 #1/0 hooks - tied by a true striper wizard - Justin Pribanic. Similar to other classic striped bass slider patterns like Tabory's Snake Fly, and Gartside's Beastmaster General. This fly is approximately 4 inches long (10 cm). Related patterns: Snook Slider, Beastmaster General,and Tarpon Slider.